All the money generated by the sale of fine art prints and ancillary merchandise will be included in a donation to the “Behind the Scenes” and “Backup–the Technical Entertainment Charity” organisations. 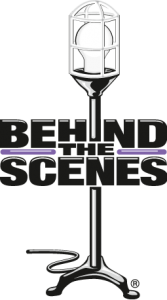 The new Behind the Scenes Counseling Fund is designed to provide early access to mental health and addiction counseling for entertainment technology professionals by assisting with the associated financial burdens. Whether it is an industry professional, or their family member who is seriously ill or suffering from an accident and needing support.